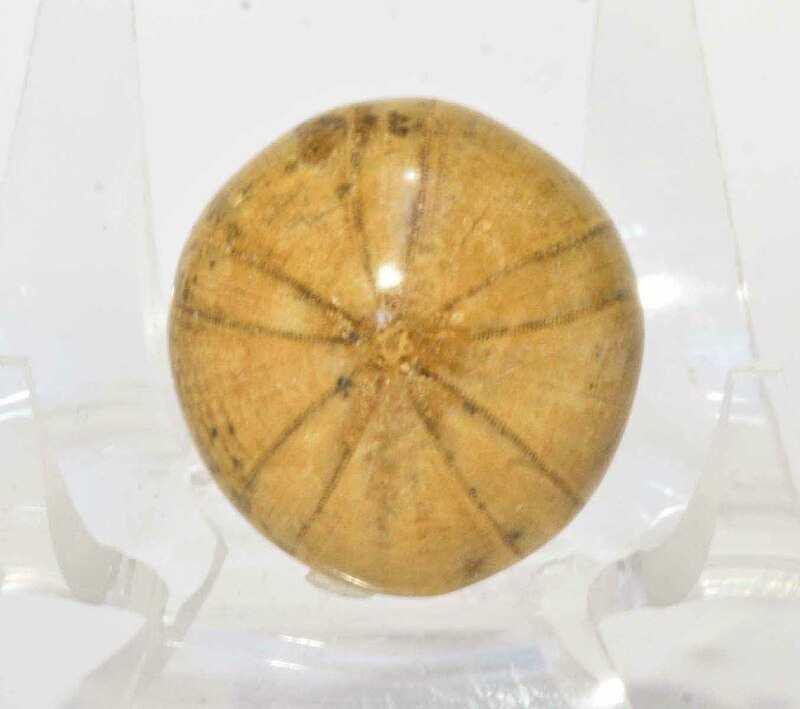 This Echinoid fossil, from Madagascar, is 2.9cms in diameter and 40 million years old. Echinoids are related to crinoids and starfish. The name comes from the Greek 'echinos' which means hedgehogs. Echinoids are also called sea urchins and urchin is an old word for a hedgehog. Echinoids have been around for 480 million years and they still exist today.